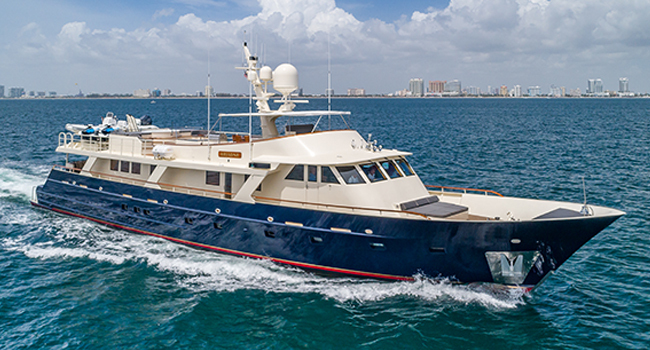 We are pleased to introduce M/Y ARIADNE to the international charter market after a stunning multi-million-dollar refit into an 8-guest charter yacht. No expense was spared in developing this exquisite yacht. A VIP cabin with queen bed and ensuite facilities is on the main deck while the remaining guest cabins are below. The master with centerline king bed and ensuite facilities is amid ships. The port twin cabin can convert into a king bed. The starboard cabin has a queen bed and ensuite facilities. Guests can opt to dine on the sun deck, main deck aft or in the formal dining salon. Her sun deck includes a shaded bar area and a sunny aft jacuzzi. Service is provided by Captain Ian Berrington and 5 crew. 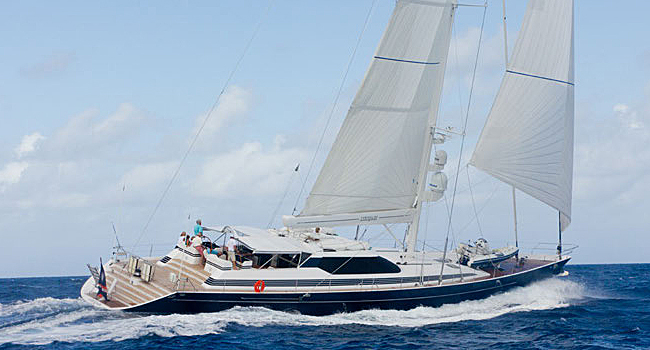 S/Y SEAQUELL, a classic 106ft Dubois-designed Alloy sloop, is back in charter. Based out of St. Martin for the 2019 winter season. She accommodates 6 guests in three cabins, each with ensuite facilities. The twin cabin can convert to a king – making her a perfect choice for charters with 3 couples. Her euro stern allows for easy access to the water and everybody loves her aft deck jacuzzi!